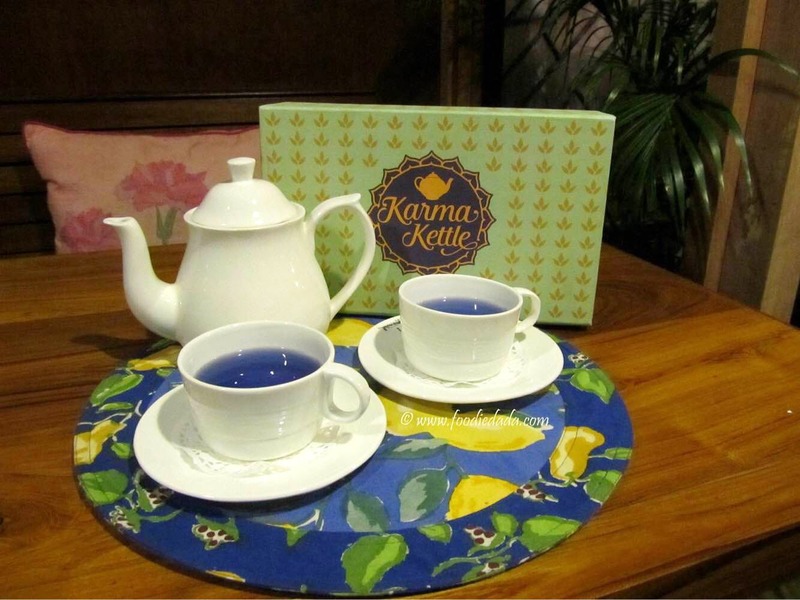 Karma Kettle on Swinhoe street near South Point school in Ballygunge has recently launched their festive collection of floral teas. I absolutely loved their floral teas options from their collection; a. Nightingale - This was a fascinating cup of tea I had till date in my insignificant life! This was absolutely blue in colour. Frankly speaking, I had never tasted blue coloured tea before. It is silver tips white tea with butterfly pea flower and jasmine. And I absolutely loved the Jasmine aroma; b. Bird’s Song - Next I had the mellow yellow coloured tea called Bird’s song. It is silver tips white tea with cockscomb and lavender. Loved the soothing flavour and mild aroma; c. Keya - And next I tried the cup of red or rather deep pink coloured floral tea. It had silver tips white tea with pink rose, red rose and strawberries. You can surely give this a try. Parking is seriously an issue here as the spot is inside a residential place so many people tend to miss it. Try out their chocolate tea called Maya and also their Paan tea is amazing apart from the Blue coloured Nightingale. Must-Try their Chicken Quiche and Walnut cakes alongside delectable teas.